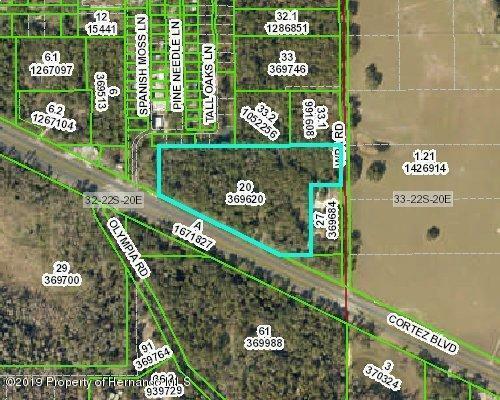 Over 10 acres commercial with 800'+ frontage on busy Hwy 50 (Almost 12 acres total, with some impact fee credit). Traffic count in excess of 24,500 a day. Property wraps corner for dual access from WPA Rd. Strategically located near Spring Lake Hwy, between Hwy. 41 and Interstate 75, within 5 miles of area poised for massive growth. Priced well below assessed value, a great price for a prime property in prime location. Ideal for a church, strip center, retail store, office space, storage and many other uses. Owner financing available, call today for terms.